BrandLoyalty | News & articles | What's happening in retail & loyalty? Carrefour’s partner in the Middle East, Majid Al Futtaim, has unveiled the world’s first ‘sail-thru supermarket’ called ‘Carrefour Bites and More by the Shore’. The supermarket will be operational six days a week serving customers on yachts, jet-skis and on Kite Beach, Jumeirah Public Beach and Al Sufouh Beach in Dubai. The store is housed in a custom-built Aqua Pod providing over 300 products ranging from hot and cold snacks, ice cream, fresh food, OTC pharmaceuticals and more. Shoppers at Azbuka Vkusa are being rewarded this festive season with Spiegelau glassware. Shoppers can collect digitally for up to 98% discount on high quality bar and wine glasses until April 2019! In 2013 Azbuka Vkusa was one of the first retailers to roll out a fully digital, nationwide loyalty programme, for which they won a Loyalty Award. 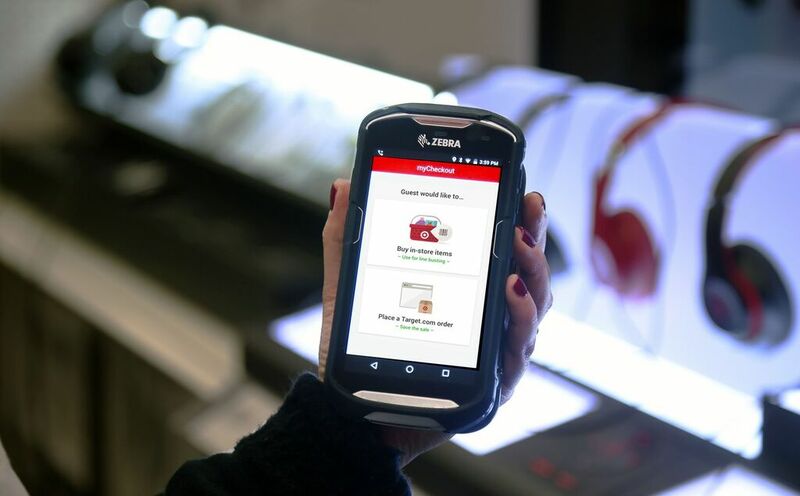 From seamless product discovery to in-store navigation and QR scanning products for frictionless checkouts, Target is revolving the customer experience around the mobile phone. The retailer is equipping shoppers with a slew of features via its mobile app adapting to consumers’ increasing demand for personalised assistance. Features include partnering-up with Pinterest to integrate its visual search technology, known as Lens, into Target’s apps, allowing shoppers to snap a photo of any product and to find out additional information and receive suggestions for similar products that Target carries. Also, Target’s mobile wallet feature on its Cartwheel saving app allows customers to make purchases and speed up checkout time at stores by using their phones to scan the barcodes of all the items they plan to purchase. Moreover, shoppers placing orders through the Target app, can choose the time and store location where they would like to pick up their items. By clicking a button on the Target app they notify store associates that they are on their way and then park in a designated space to have their items brought directly to their car. Finally, Target created a secret social network to help its biggest brand fans weigh in on product design for its in-house line of products. Russian retailer Lenta has appointed Herman Tinga as its new CEO, replacing Jan Dunning. Herman has served as Lenta’s Chief Commercial Officer since 2013. Lenta is the largest hypermarket chain in Russia (in terms of selling space) and the country’s third largest retail chain (in terms of 2017 sales). Ahold Delhaize Albert Heijn has announced the appointment of two senior leaders who are both joining effective 1 January 2019. Rob Heesen will join as General Manager, replacing Jan Willem Dockheer. Additionally, Philip Padberg will join Albert Heijn as General Manager of the brand’s online business. Philip has been responsible for Continental Europe and the Netherlands at meal delivery service Deliveroo for the past three years. REWE CEO Lionel Souque has agreed on a new five-year deal with the retailer and will lead the group till January 2024. Souque’s previous contract would have run until 2021, having taken over as CEO in July 2017, succeeding Alain Caparros. The contract renewal signals that REWE has faith in its current board, with Deputy CEO Jan Kunath and Chief Financial Officer Christian Mielsch now contracted until the end of 2022. Spain-based Grupo Dia has announced changes in its management team with four new appointments. Under this, Enrique Weickert Molina has been appointed as the CFO of the group, Iván Martín, as the director of operations for Spain, Marin Dokozic as the CEO for Brazil and Freddy Wu, as CEO for Argentina. The population is getting older and older. This has led to Carrefour in Spain to introduce an interesting initiative: A magnifying glass to help customers read the labels of some foods. Woolworths Australia has unveiled a fresh food-focused new concept store, known as ‘The Kitchen’, in Sydney. The store has a strong focus on organic, healthy options and sustainability. It features a wide range of organic fruit and vegetables, an expanded Macro Wholefoods market range, on-site florist, fresh juice bar, barista-made organic coffee, healthy takeaway food options, and a wholesome eat in-cafe. ‘The Kitchen’ has a flexitarian range of 100% plant-based burgers, sausages and tofu, as well as filled pastas and sauces. Shopping trolleys are made from recycled milk bottles, while all eco-baskets are made from recycled soft plastics. Disney mugs at Total petrol stations! Total in Germany (1,100 petrol stations) has launched a programme to celebrate Mickey’s 90th birthday together with all of his friends. The POS materials are as colourful as the mugs themselves. That’s why Total is activating the programme with below the line marketing, including: online and offline lottery, billboards and a strong communication at and in front of the stores. Spar Austria announced that customers can now bring their own boxes for purchasing cold cuts, cheese, and meat in order to avoid plastic packaging. The trial service is presently limited to 3 Spar outlets in Styria. The test run will be carried out till February next year, after which the retailer will reflect upon the practicality of implementing the concept, and the level of acceptance among consumers. If the trial proves to be successful, the new concept will be introduced in other Spar stores in Austria. Get in touch and we will ensure you are included on our monthly distribution of 'Things we see in retail and loyalty', and receive it in your mailbox each month! Go back to the news overview to find out more about what BrandLoyalty and our partners have been doing as well as key industry insights.